I love sumer- the warm weather, the trips to the beach, the bright colours, but sometimes, I want a break from it all. Neon nails can get a little overwhelming for me, and I enjoy breaking it up with clean and refreshing shades. Often I would have to pull nail polishes from previous seasons from my stash to get my softer look, but this summer, Londontown has stepped up to the plate to offer two new shades that offer a breath of fresh air this season. While their colours are beautiful, Londontown goes above and beyond by infusing their nail lacquers with botanical and mineral oils to restore your hands and nails to greatness. When paired with their kur Nail Hardener and Top Coat, nail strength and durability is reinforced all while sporting a long-lasting, high-shine look. Let's get a closer look at the newest shades to join the brand's colour lineup! It takes something special to turn me on to soft purple hues, and Briolette certainly has what it takes to catch my attention! A soft lavender hue, Briolette is definitely a clean look for the summer with an added twist. While it may look like a simple lavender creme, closer inspection shows flashes of iridescent shimmer as your nails catch the light just right. The first coat applied a little unevenly, a feature I expect from this type of colour, but it self leveled out nicely with the second coat. I added a third for full opacity in addition to the Londontown Gel Genius Top Coat for these photos. As gorgeous as Briolette is, Opal is my personal favorite from the new summer duo. The base shade is a touch more of a dusty lilac and the shimmer is really amped up with what appears to be blue and pink microflakes. The formula is also fantastic with two coats of flawless application to opacity. Again, I used the kur Gel Genius Top Coat over my base shade for these photos. Both Briolette and Opal are available for purchase from Londontown now for $16 each. 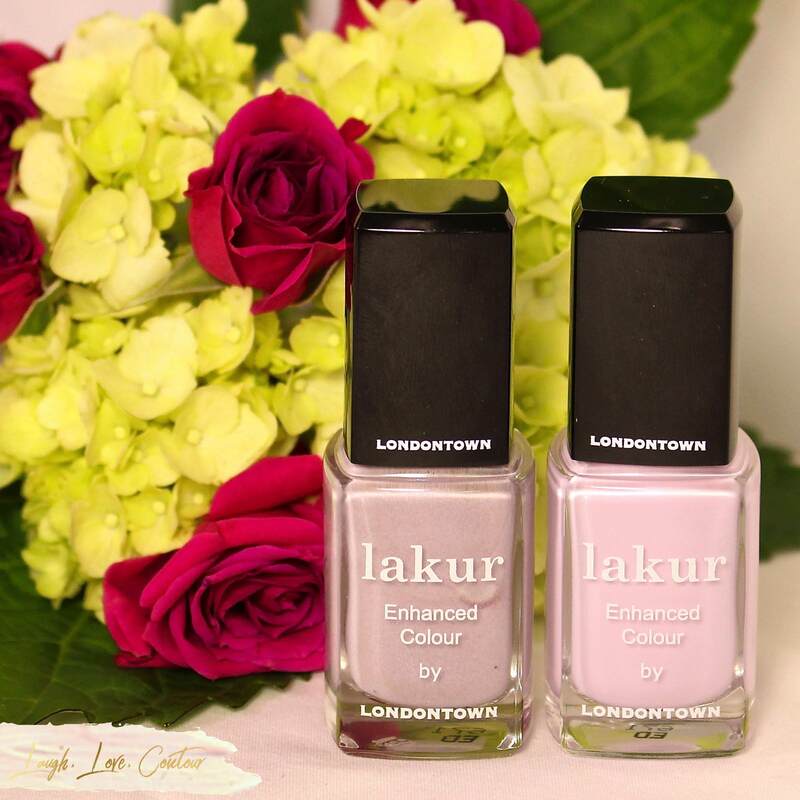 All nail lakurs from Londontown are 9-free, cruelty-free, and vegan. What colours are you wearing this summer? Will you be adding Briolette or Opal to your nail polish lineup? I'd love to hear from you! XO! I love that first cream shade — so opaque!! Perfect summer shades. I'm always looking for this type of shade. They look more pink than purple to me but that's perfectly fine! If I saw Briolette in a store I'd probably skip over it. However, after seeing your swatch I really want it! Ooh Opal is absolutely stunning! Opal is really pretty. I could wear that all year. your swatches are lovely, they have some great polishes! I love Lakur polishes! They're so creamy and last a while! Sorry, gunna have to be #TeamBriolette on this one! Lol. Both of them are darling though! Such pretty colors.. Love them.. Bot are so beautiful and unique on their own..
Love their nail polish! I am wearing one of their colors on my nails right now.